Today I’m so happy to be able to interview and introduce you guys to Patricia Gussin, an amazing writer, publisher, editor, doctor, and woman. Her books have won major awards and also made The New York Times and USA Today best seller list. Confession, she also happens to be my mother-in-law. So in addition to all the excellent things she’s done in her life, she gave birth to my most favorite person. DMS: Last year, you were honored by numerous volunteer organizations—the Friendship Centers, the Library Foundation of Sarasota County, The Boys and Girls Club of Sarasota—you received awards from International Thriller Writers Legends award, Duquesne University, grew an award-winning wine on your New Zealand vineyard, and released another fantastic novel, COME HOME. There has to be some method to this madness. Some secret way of keeping yourself organized, grounded, and your motivations high. Many of us, myself included, might take all that success as an opportunity to pull back. Or eat a doughnut. Could you share a bit of advice on self-motivation? DMS: Great idea–surrounding yourself with authors and activities that inspire you and keep you motivated and moving forward. Must work since you’ve written seven highly acclaimed novels, SHADOW OF DEATH, TWISTED JUSTICE, THE TEST, WEAPON OF CHOICE, AFTER THE FALL, AND THEN THERE WAS ONE. And most recently COME HOME— about the pacing of which NYT best-selling author Steve Berry said, “The tight suspense unfurls almost lyrically in this high-stakes tale of a mother’s desperation.” Your thrillers combine complex family, authentic emotions, and your vast medical expertise while managing the fast pace that readers of the genre expect. Can you share a little about pacing, not just in your own work, but what you look for when acquiring manuscripts for Oceanview Publishing? PG: Since my genre and Oceanview’s is mystery/ thriller, the pace has to be rapid, but it can’t be so fast that readers become confused and it can’t be so constant that readers become exhausted. It’s one of those things that the experienced editor “knows when she sees it”—much like that elusive “voice” —not definable, but essential. DMS: Yes! I’ve read authors that keep the pace at such a high level that it’s kind of like being over-tickled as a child. At some point, it stops being fun and feels more like torture. Not being tortured is an easy decision to make, but not all life choices are. You seem to have an easy time taking chances, making changes, moving onto the next thing. 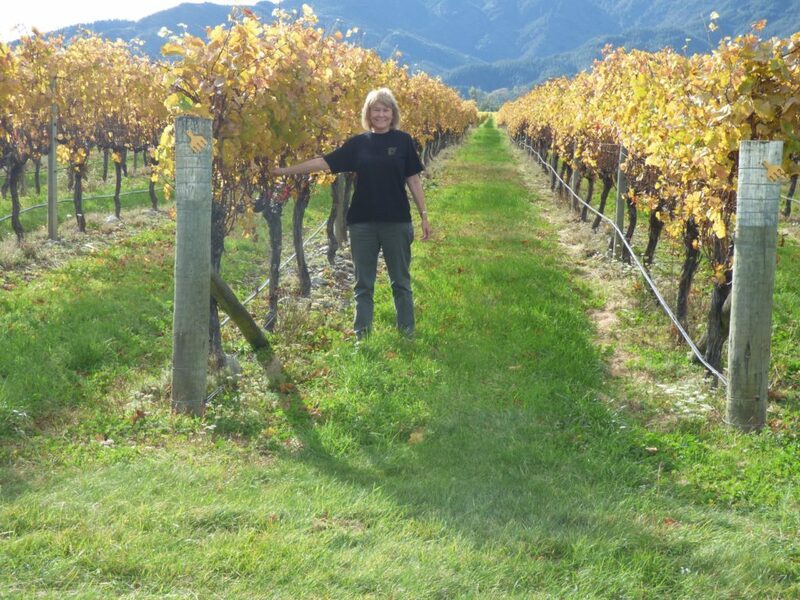 You retired early, leaving a lucrative job at Johnson & Johnson, became an author, started Oceanview Publishing, and then went on to become a New Zealand vintner. And that’s just the start of a rather intimidating list. Can you tell us nervous decision-makers if you use a process to help make these decisions? Is it a matter of research, critical thinking, or is it just going with your gut? PG: My husband, Bob, and I call it “thoughtful impulsiveness.” There’s a question we ask ourselves: “What is the worst thing that can happen if you make this decision/change and it does not work out?” And the second question: “Can you live with it?” If the answer is “yes” then why not go for it. We are not into “paralysis by analysis.” I think the biggest decision I ever made was to start medical school when I had a three-year-old and a three-month-old child. My family always comes first. My thinking was that if any issues came up in the four years of med school or internship and residency that interfered with my family that I would simply quit. But nothing adverse ever did happen, so I went along with the medicine and had two more children during med school. In my novels (which are now classified as domestic suspense) I use the tension between work and family to highlight what a difficult balancing act that can be. Of course, you, Diana, are married to one of those kids, and he may have a totally different take. DMS: Bill and I are both in awe of your balancing skills! That’s really good advice, “thoughtful impulsiveness.” Love it. And since you’ve already told us you like to keep busy―and even though Come Home, which New York Times best-selling author Lee Child called, “Brave, unflinching suspense―elegant, intelligent, and superb”― is still hot off the presses, can you give us a little preview of what you’re working on now? PG: I had intended Come Home to be the first in a series called The Identicals. My plan is to rotate identical twin female protagonists from book to book. They are both physicians, one a plastic surgeon, the other a pharmaceutical research physician. I started with Nicole in Come Home and plan to use Natalie in the next. However, I have veered off to write a standalone, I’m tentatively calling The Boy. A child who’s been bullied but who becomes a football hero. The boy made a minor appearance as one of the children in my earlier novel The Test. DMS: Oh, I’m not sure which one I’m more excited about reading–Natalie’s story or The Boy. But since this newsletter and blog are female focused, a way to promote female voices, can you tell our readers a little about Andrea Carter, one of Oceanview Publishing’s newest female authors? PG: Andrea Carter is a totally delightful Irish writer whose career as a solicitor (lawyer) in the northern most parts of Ireland—the Inishowen Peninsula—has provided her with ample material for her amateur PI character, Benedicta (Ben) O’Keefe. Her books are amazingly atmospheric. She does for Ireland what Louise Penny does for Canada. And the good news is that they are being made into a TV series to be filmed in Inishowen, Donnegal. 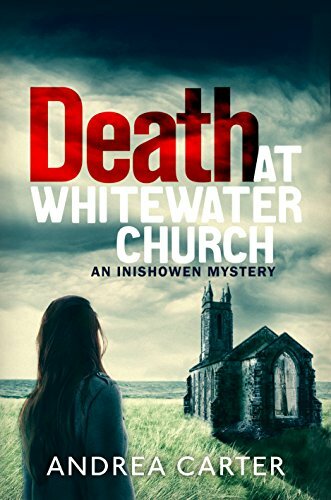 Death at Whitewater Church came out in October and Treacherous Strand and Well of Ice will follow. They were first published in Ireland and the U.K. and just now coming to America. In late 2019/ early 2020, Oceanview will be publishing two debut women authors and I am so excited about that. DMS: Andrea’s novel is going to make a fantastic TV series. Congratulations to Andrea! And congratulations to Oceanview’s DEBUT female authors! It’s great to hear about first-timers getting their work, their voices, out into the world. This was so much fun! A big, warm thank you to Patricia Gussin for agreeing to be on my blog and in my newsletter. Pat is so accomplished and so kind and such a wonderful author and person. I was thrilled to get to share my admiration and love for this woman with all of you. I’m going to ask Pat to come back and answer more of your questions, so if you have any please ask in the comments. 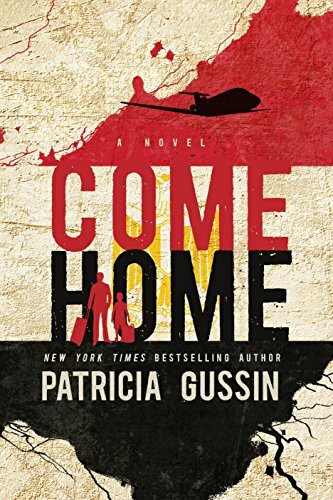 Patricia Gussin is a New York Times and USA Today best-selling author. 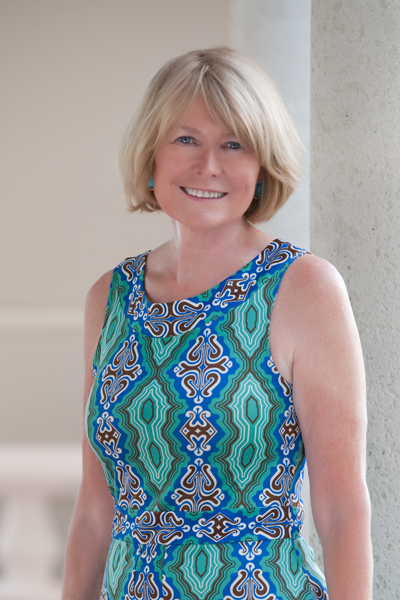 Her novels are all in the mystery/thriller genre and they reflect her background in medicine. Patricia was born in Grand Rapids, Michigan. She is a graduate of Aquinas College, Wayne State University School of Medicine, and Columbia University Business School. She practiced primary care medicine and has directed medical research in her role as worldwide vice president for a leading healthcare company. Her first novel, SHADOW OF DEATH was nominated best first novel by International Thriller Writers. This was the first of the Laura Nelson series which includes TWISTED JUSTICE and WEAPON OF CHOICE and concludes with AFTER THE FALL. AFTER THE FALL AND COME HOME both won the Florida Book Award for Popular Fiction. Her non-series novels AND THEN THERE WAS ONE and THE TEST are both best-sellers. She and her husband, Dr. Robert Gussin, live in Longboat Key, Florida and East Hampton, New York, and they have vineyards in Marlborough, New Zealand.